Just hours ahead of Apple’s live stream event, a last-minute leak of their new iPhone models has occurred. Just hours ahead of Apple’s live stream event, a last-minute leak of their new phone models has occurred. According to The Verge, the new models will be named iPhone XS, XS Max, and XR, which was discovered in a product sitemap XML file hosted on Apple.com. The XML file also mentions the Apple Watch Series 4 by name. The current watch bands are 38mm and 42mm, and the new watch bands are listed as 40mm and 44mm. The file has been pulled, but The Verge grabbed a few screenshots, which can be viewed below. The file also shows several cases in silicone and leather will be available for Phone XS and iPhone XS Max. Silicone cases will be white, black, stone, midnight blue and Product RED. Leather cases will be saddle brown, black, taupe, green, Cape Cod blue, peony pink and Product RED. There are no cases listed for the iPhone XR. 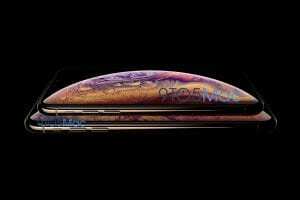 Two weeks ago, a supposed photo of the new iPhone XS was leaked showing a new gold exterior option. Apple’s official live stream event will begin at 1 p.m. EST/10 a.m. PST where we will see whether or not these items are confirmed. The stream is available on its website and Twitter for streaming on desktop. It’s also available through the Apple Events app on the Apple TV. Last month, Apple revealed they aren’t releasing FaceTime group calls when iOS 12 launches. Mashable reports that users who downloaded the iOS 12 beta 7 received a message saying the software update won’t include the feature anymore. According to the note, group FaceTime calls will be available some time later this fall. When the update launches, FaceTime will also be integrated with Messages app. The change will make it easier to move the conversation from texts to calls.